Ranthambore National Park is located near a small town of Sawai-Madhopur and is quite renowned for its tiger population in India. Ranthambore National Park is located near a small town of Sawai-Madhopur and is quite renowned for its tiger population. Extended over an area of more then 392 sq. 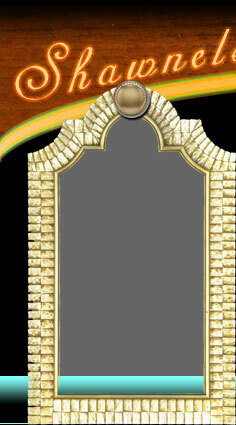 km the Ranthambhore Wildlife National Park is perhaps India's foremost example of Project Tiger. Here government has taken all necessary steps to protect and regenerate the shrinking population of tigers in India. The park has an immense rocky terrain with steep slopes, rambling streams and elevated trees. The reserve enjoys a typical dry deciduous forest dotted with Pine trees, Banyan and Dhok trees also the main vegetation for its habitats. 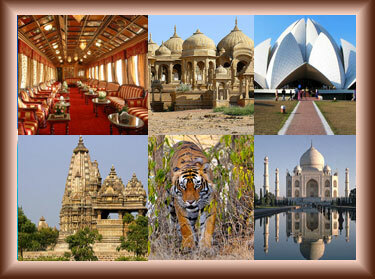 It was established as a sanctuary in 1959 and later on in 1981 Ranthambore was declared as a National Park. More often the tigers are sighted during full daylight, luxuriating under the shades or chasing its prey, seldom shy to cameras and jeep-loads of visitors. The Indian tiger is one of the most royal beasts in the world with an amazing capacity to sneak upon its target without a former warning. It is the most cherished dream of every wildlife zealot. The reserve is an abode to about 25 tigers and 40 leopards, living in perfect harmony with their herbivore counterparts. This Gigantic mammal can best be viewed during early mornings and early evenings, it can also be sighted near the water bodies-Padam Talab, Raj Bagh Talab and Milak Talab. The Park also enjoys the varied population of bird life and reptiles/ amphibians. Besides tigers and Leopards, the park is also a home to Indian gazelle, Sambar, Nilgai (bluebull), Chital, Mongoose, Indian Hare, Monitor Lizards and highly endangered jungle cats. The waterholes in the park are the foremost rendezvous joints of the diverse wildlife. 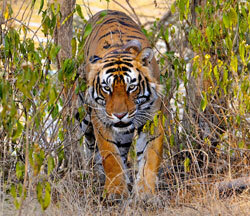 The best way to hunt the treasures of Ranthambhore is through magnificent wildlife safaris. Tiger sightings are equally common with Canters. However, Jeep safaris are preferable since Jeeps can use smaller tracks and cruise deeper into the dense jungles and grassland. Also, as canter can accommodate 20 people at a time, it can be more noisy and may provoke the animals. Trips are only allowed twice a day, in the early morning and again in the late afternoon, each safari lasts about 3 hours. Private vehicles are not permitted into the park. Ranthambore Fort / Jogi Mahal: There is lot of adventure hidden in exploring this magnificent fort, as the fort is located on a hilltop. Dating back to the 10th century, the fort is perhaps the oldest prevailing fort in Rajasthan. 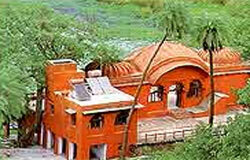 Jogi Mahal now converted into a Forest Rest House, is famous for its second largest Banyan tree in India. The idle time to plan your visit to the park is from October to June. However, during summers the wild life can be easily seen near the waterholes druing the month of May or June. March and April, especially, are months when tiger spotting is more common.